In the global economy, the challenges faced by our society in the different part of the world are similar and interconnected. This is also true for the risk issues which require most of the time global solutions. EU-VRi is convinced that Europe has to develop a close partnership with China on risk analysis and risk management in particular when the risks under consideration are related to sustainable production, clean transport, impact of climate change, impact of the world demography, sustainable energy use, safety and security of critical infrastructures. Partnership and cooperation is seen as a two ways process. China quick development asks for effective solutions for risk management, which should benefit from the European experience. The leaders in China know what the best practices are and how to implement them, but they may still profit the external support in order to enhance the quick transfer and to adapt new solutions to the local market and the local culture. Europe sees in China the opportunity to share investment in research, development and innovation for more effective risk management solutions. Joint research programmes should be elaborated, common projects developed look for synergies and mutual fertilization both on methodological and technological aspects to build approach and tools that will be global. 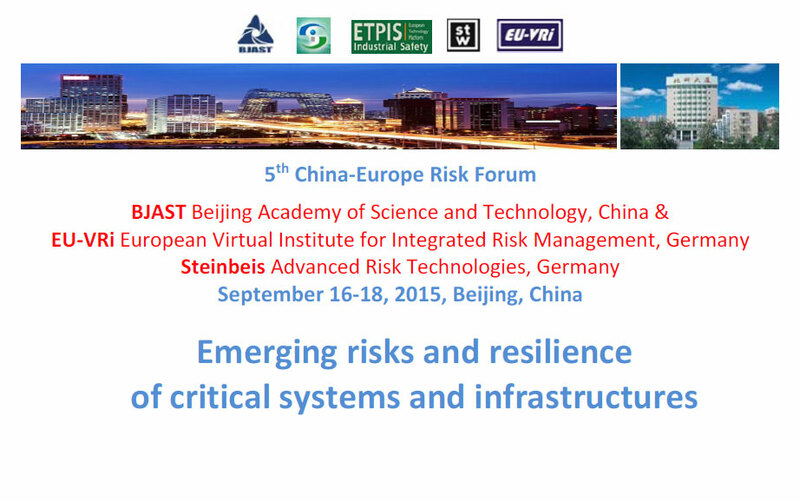 The 2nd International Conference on Risk Analysis and Crisis Response (RACR-2009) and the 1st China-Europe Risk Forum. 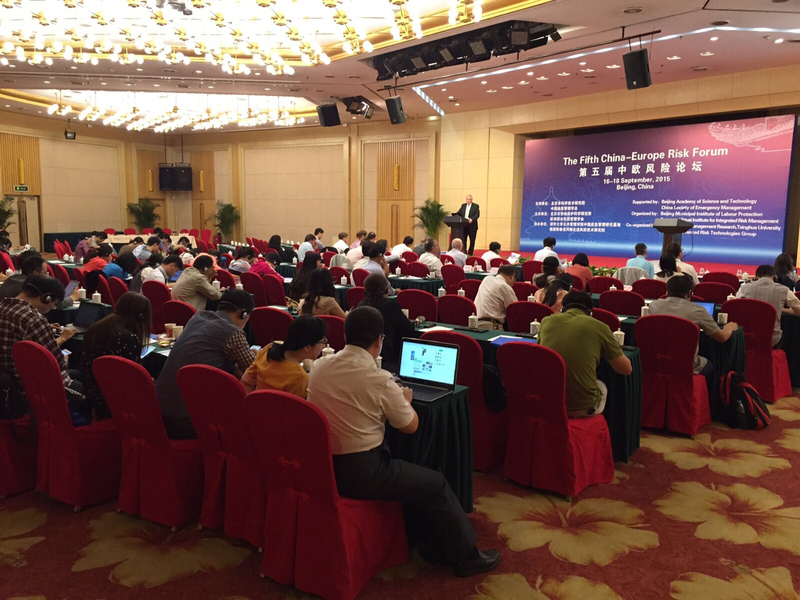 The Conference took place on October 19-21, 2009 in Beijing (RACR 2009 Website). The conference was a great success with approx. 150 participants, an important outcome of the Conference being the creation of SRA China, which means the affiliation of a Chinese group of risk analysts to the Society for Risk Analysis. Tthe 1st China-Europe Risk Forum took place just after the RACR conference, on 22-23 October 2009. 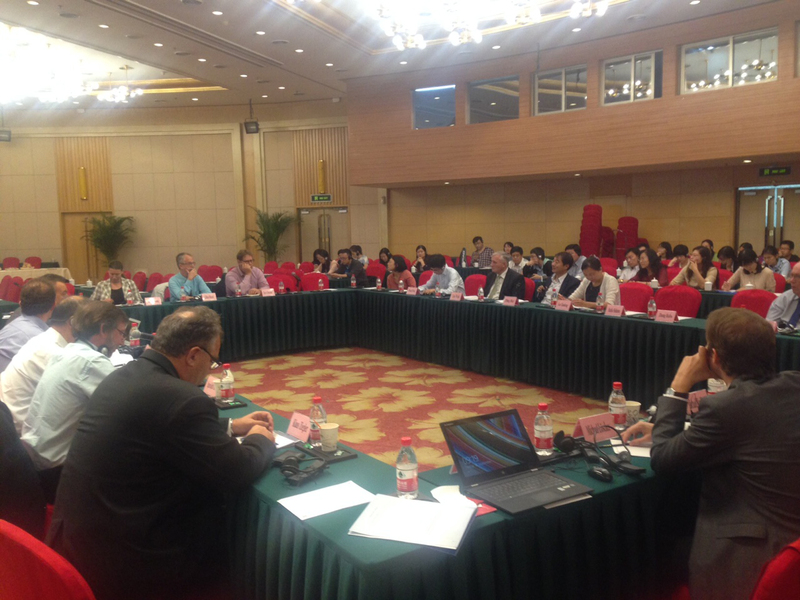 The Forum was hosted by the Beijing Municipal Institute of Labor Protection, represented by Prof. Bin Zhang, Director of BMILP. SRA Europe was also a sponsor of this event. The China-Europe Risk Forum aims at developing partnerships between Chinese and European scientists in the field of risk analysis. It involves exchanging results of on-going research programs, jointly defining research programs and preparing common projects and short term initiatives. After the success of this Forum, the organizers decided to continue the initiative and to prepare actively joint project and the next fora taking place both in Europe and China, involving not only EU-VRi, but also the EU-VRi partners.